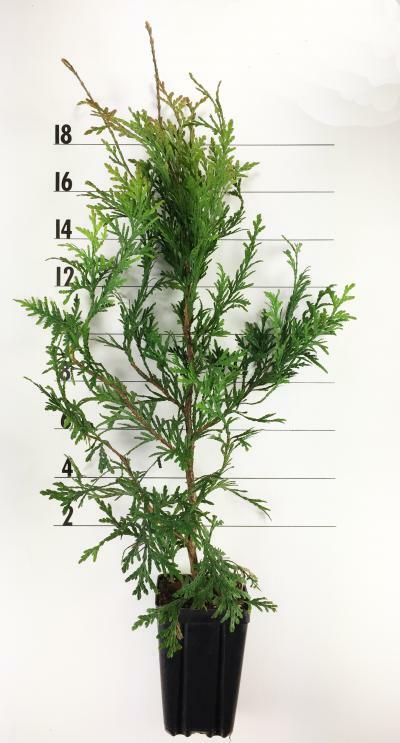 The ‘Green Giant’ arborvitae is a vigorous, fast growing evergreen. It has dense, rich green foliage. 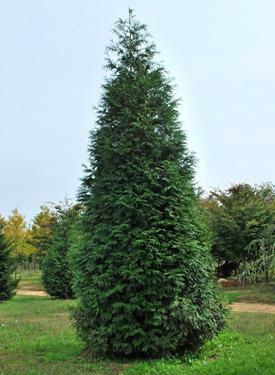 This is an exceptional landscape tree for use as a hedge, windbreak, or an individual tree. It is tolerant of a wide variety of soils, but prefers moist, well drained soil and likes sun to partial shade.